For those who love Halloween as much as we do, you'll be excited to hear that you can enjoy spooky fun even during the holidays! 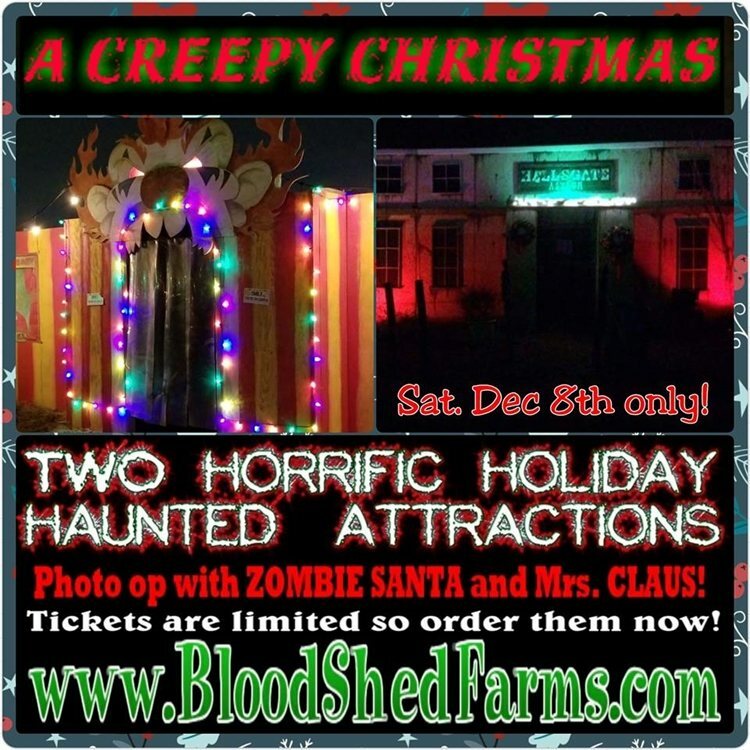 BloodShed Farms Fear Fest in Columbus will be presenting 'A Creepy Christmas' on Saturday, December 8th from 6:00-9:00 PM. The one night event will feature two horrific holiday haunted attractions and photo ops with Zombie Santa and Mrs. Claus. Tickets for the event are limited, so be sure to let your bravest friends know, and order your tickets as soon as possible! Click here to purchase your 'Creepy Christmas' tickets today!